There comes a time in every homebrewer’s life when he finds he’s made the jump from novice to expert. At that time, not only has his skill improved and his palette become more discerning, but he may also find that he’s ready to upgrade some of his equipment to better fit his changing needs. Kegging systems are among the first big purchases a seasoned homebrewer decides to make. They are also among the most useful items any serious homebrewer will ever consider. Kegging systems aren’t just cool accessories to add to your home bar or game room. They also take the guesswork and the tedium out of many stages of the beermaking process, especially once you reach the point where you’re brewing often and in large amounts. 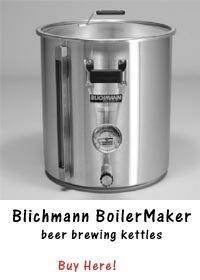 Kegging systems streamline your brewing process. Once you reach the point where you’re brewing several gallons of beer or ale at a time, it’s probably time to think more seriously about investing in a kegging system. Cleaning and sterilizing enough bottles to store all your beer can become a real chore at this point, as can the bottling process itself. Why not save bottles for gifting or for containing specialty beers that you may only be in the habit of drinking once in a while? Try a 5-gallon keg for your personal home supply instead. Not only will you always have a lion’s share of fresh, cold beer on tap at all times to enjoy with your guests and loved ones, but you’ll eliminate the need for both the priming process and the bottling process. Your keg takes care of both by force-carbonating your beer, as well as storing it in bulk. No more annoying bottles to deal with each and every time you brew. No more inconsistencies in the carbonation level of your beer. Which kegging systems best fit your needs? Although there are many kegging systems available on the market, it’s important that you realize that quality is key before you buy. 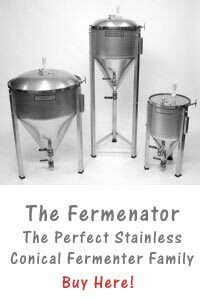 The great majority of homebrewers prefer stainless steel Cornelius kegs for their kegging needs. Cornelius has been a big name in the restaurant and pub business for ages when it comes to dispensing beers, sodas, and other carbonated beverages. Brewers everywhere have learned that they can also trust it to keep their homemade brews fresh, tasty, and clear from the first glass to the last. Cornelius and its close competitors typically produce kegs in 3-gallon or 5-gallon sizes. It’s up to you to decide which size would best fit your batch size and available storage space. What else do I need to purchase in tandem with my kegging systems? Most kegging systems come complete with not only the keg, but also the necessary CO2 tank, the tubing for dispensing beer, the connectors, the tap, and so forth. However, it is always advisable to consider buying a separate refrigerator large enough to store your keg to make sure your fresh beer is always perfectly chilled and ready to drink. Overall, a homebrewer can expect to spend several hundred dollars on his choice of kegging systems and a refrigerator, but most consider it a worthwhile investment. It improves the quality of your product by leaps and bounds while increasing convenience a great deal. Why not give one a try yourself and see what a difference it makes in your beer?